The worldwide emission of CO2 is an extremely and fast growing problem. The fact that nature is regulating the neutralization of this climate threatening gas for over billions of years is unknown to most people. The fact that olivine, the most present rock on Earth, is playing a crucial role in this proces is unknown as well. 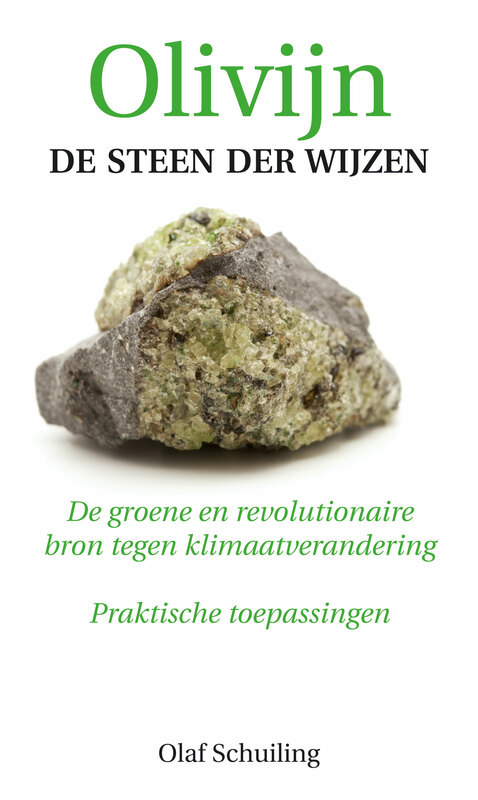 Emeritus professor in geology, Olaf Schuiling, is investigating the meaning of this philosopher’s stone, which is responsable for the preservation of life on Earth. Olivine binds CO2. Unfortunately the emission of this poisonous gas is growing so fast that nature needs some help. We can do that by increasing the availability of this revolutionary source. And, yes, we can, because the mining of this survival rock is simply and cheap. Professor Schuiling experimented a lot on a small scale and he discovered many practical applications in our environment and daily life. The green revolution is close at hand and everybody can contribute one’s mite at low costs. Apart from that: we need to convince the government to stop the CCS (Carbone Capture System) asap. Sir Richard Branson choose from over 2600 submissions the olivine concept as one of the ten most promising proposals. 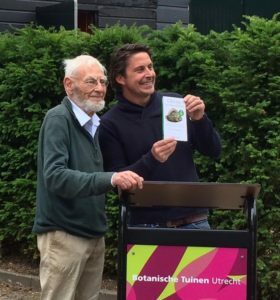 Photo: Lodewijk Hoekstra (NL Greenlabel) receives the first book from Olaf.